There is metered parking on the street in front of the door until 3:30 pm. Additional meter parking can be found on Adelaide between McDermot and Bannatyne Avenues, some of these spots are back-in angle parking only. 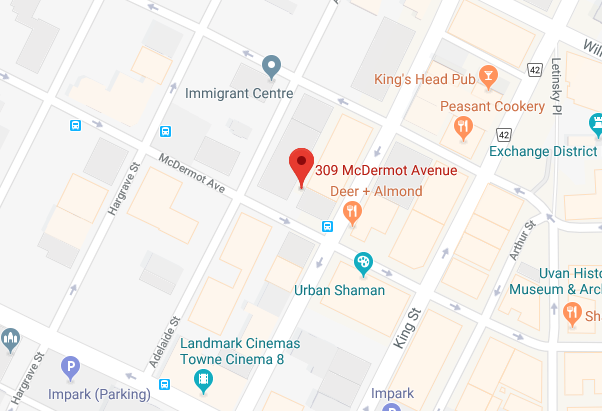 If you require more than two-hour parking there are Impark lots on the corner of McDermot Avenue and Hargrave Street or Hargrave Street and Notre Dame.